I’ve always been impressed with Dr Mercola’s mission to improve animal health and well-being through sound nutrition and excellent health products. Recently, I discovered Dr. Karen Becker who is the Healthy Pet Vet for the mercola.com website. They have over 500,000 followers now, which is wonderful. She is passionate about helping animals be as healthy as possible through proper nutrition and preventative wellness care for animals. I loved learning about her work with wildlife too! 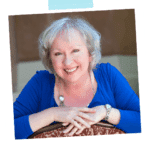 I know you’ll love learning about her 3 Pillars of Health. Enjoy! Dr Karen Becker co-authored the Whole Dog Journal’s Best Homemade Diet Book of All Time award, Real Food for Healthy Pets. She has appeared on the hit show, Animal Planet, and is deeply honored to be named one of Chicago’s Top Ten Vets, according to Chicago Magazine. 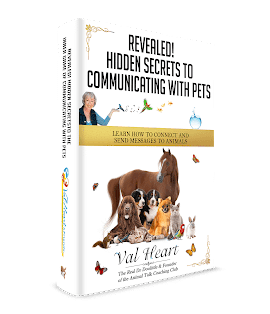 She often lectures about species appropriate nutrition and is also the veterinary consultant for Mercola Healthy Pets, where half a million passionate animal lovers receive her free wellness newsletter three times a week. Dr Becker is certified in Veterinary Acupuncture and Homeopathy. She owns the Natural Pet Animal Hospital, Feathers Bird Clinic and TheraPaw Rehabilitation and Pain Management Clinic in Illinois. She’s also heavily involved with Wildlife and International Resource Management and also works with exotic animals. This is her 25th year as a federally licensed wildlife rehabilitator, caring for over 200 wild animals a year through her non-profit Covenant Wildlife Rehabilitation center. It’s Dr. Becker’s goal to empower pet owners to take charge of their pet’s health. If your pet has health challenges or you simply want optimal wellness for your companion it’s up to you, the owner, to become educated about the 3 pillars of health that will unlock your pet’s healing potential. Do not entrust these decisions to anyone else. What is a proactive, integrative, wellness veterinarian and how are they different from regular veterinarians? What are the “3 pillars of health”? Why focus extensively on nutrition? What about people food versus pet food? If you’ve just realized you’ve blindly been following your vet’s recommendations and not really thinking about intentionally creating wellness in the animals you’ve been entrusted to care for, what do you do? We are our pet’s guardians, and are in charge of health and well-being for the animals we care for. It is our job to make sure we are doing all we can to foster vibrantÂ vitality through wise lifestyle choices. It’s Dr. Becker’s goal to empower pet owners to take charge of their pet’s health. If your pet has health challenges or you simply want optimal wellness for your companion it’s up to you, the owner, to become educated about the 3 pillars of health that will unlock your pet’s healing potential. Do not entrust these decisions to anyone else. If you are interested in preparing your pet’s diet yourself you can purchase Dr. Becker’s cookbook, “Dr. Becker’s Real Food for Healthy Dogs and Cats,” from Amazon, or healthypets.mercola.com. I would love to hear what you think of our interview, leave a comment! I just loved your interview with Karen Becker. She inspires me so very much. I have been reading her daily newsletters for at least 7 years if not more. I listen to all her videos she posts. When I changed Ruby’s diet 5 years ago, I bought her book and it helped me enormously to know what to give him. Ruby who was “written off” 5 years ago is still with me and he is now 10 years old. Wish all vets where like that. Val and Karen, I thank you both for your precious work on this Mother Earth!!!! Wish you were closer by!!! Thank you, Ilse! So glad Ruby is still with you! !